Siobhán only arrived yesterday but she’s not losing any time settling in. 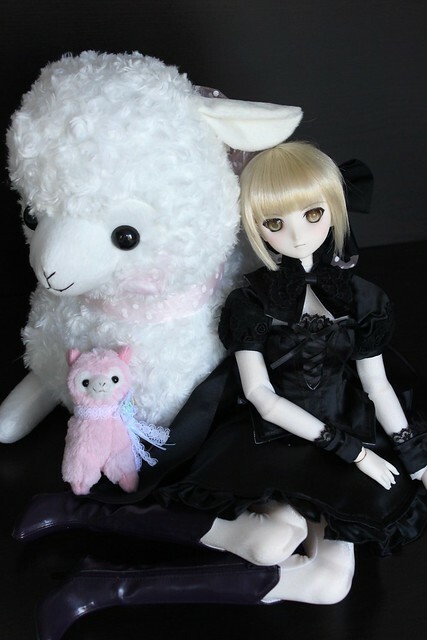 Today she made friends with Arpakasso-kun! 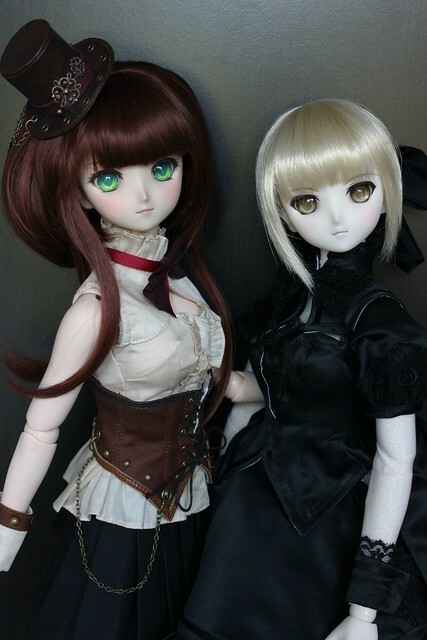 Last fall I pre-ordered 2 beautiful new dolls from Volks – Saber Extra and Saber Alter (v.2) It’s been a long wait for these girls to arrive, with production and shipping delays from Volks adding hiccups along the way. Folks who pre-ordered from Volks Japan have been receiving their Sabers since February but since I ordered from VolksUSA I had to be patient. 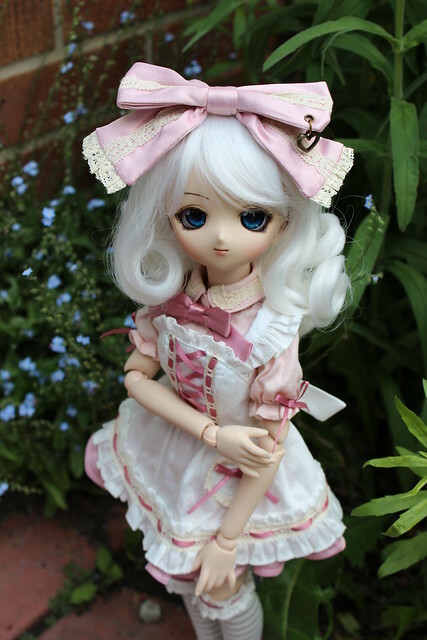 Last weekend, I met up with a few Dollfie Dream owners and we took the ferry from downtown Toronto to Ward’s Island for a potluck picnic and a lovely afternoon in the sun. The weather was perfect and we found a beautiful spot on the island with a gorgeous view of the Toronto skyline and a little piece of beach nearby. We originally had the dolls sitting underneath parasols to protect them from UV exposure, but as the afternoon wore on the shade shifted. 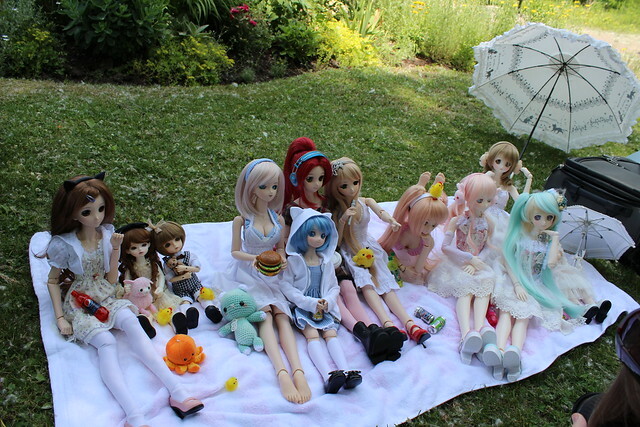 Here are all of the beautiful dolls relaxing in the shade. While I was in Tokyo last month Danny Choo announced that he would be hosting a Culture Japan Night at the Good Smile Café in Akihabara, Tokyo. It just happened that our group of friends had decided to extend our trip by one more night so that my sister and Bosu could go to a live by Golden Bomber – and the rest of us were just going to do some last minute shopping so it worked out well for PlasticFantastic, Sam, Kevin and I to stop by the CJN event. 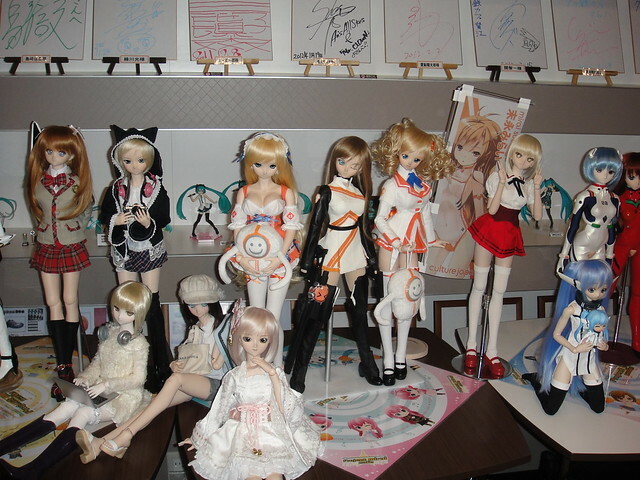 I’m sure DannyChoo.com readers will recognize some of his girls dressed up in various Mirai costumes (meido-Mirai, Mirai Millenium and the Winter Uniform). My newest girl, Hinata, a DD Shino is sitting at the front of the table. 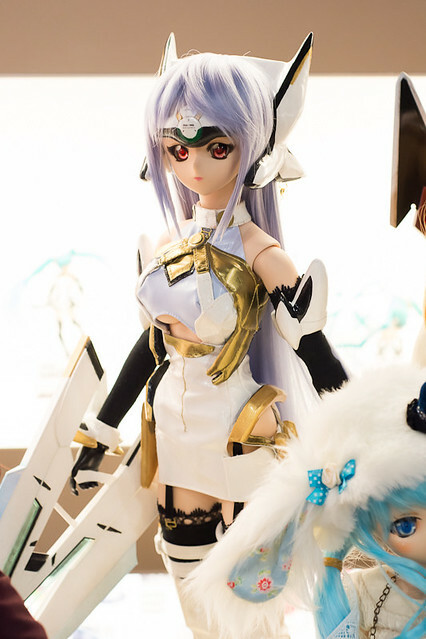 Since KOS-MOS was already packed up, it was easy to bring her along. 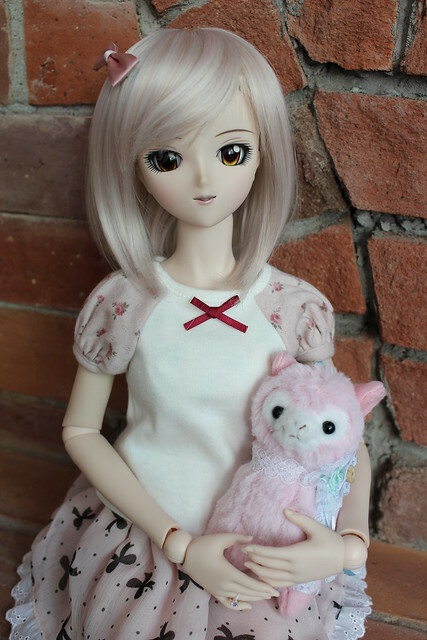 When I was in Tokyo last month, I adopted a beautiful Dollfie Dream Shino (that I’ve renamed Hinata). While I was taking photos of her, I noticed that one of her eyes was misaligned, so when I came home I decided to remove her default eyes and install some different ones just for fun. Changing a doll’s eyes is a very quick and easy way to personalize her and give them a whole new look. I’ve since become quite comfortable with changing DD eyes, but I still remember the first time I did it for Aerie and how nervous I was.I decided to take step-by-step photos of the process of removing default eyes in case any of you decide you would like to do it. Here’s Hinata still wearing her default eyes. Notice how the one on the left is dark and doesn’t catch the light? It’s actually positioned 2mm lower the the one on the right so that pretty honey colour in the iris doesn’t even show, and it’s angled downwards! It was nice and sunny today so I took Médée out for a quick photo session today to take advantage of some of the flora in my back yard. I think she looks so sweet and adorable!